Cole-Slaw: How Many Churches Did the Apostle Paul Start? 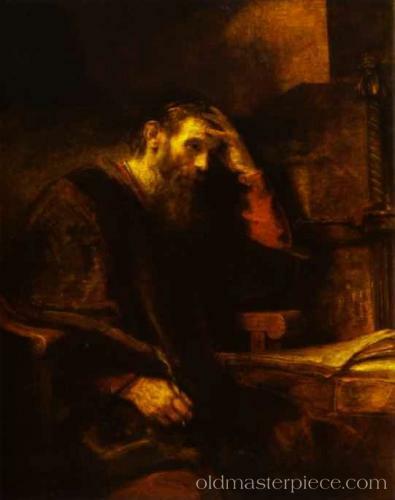 Some have said that Paul only started 14 churches in his lifetime. If so that is a remarkable thing, but I tend to think there are more than 14. I would assume that there are some churches started that were not necessarily mentioned as churches in the NT. For instance there is no mention of a church started in Athens, but there are households that began to follow Christ there, so we can assume that a church was born there. In Philippi there were two households that surrendered to the gospel (Lydia’s and the Jailer’s), so there could be two organic churches there. Some say that there is just one church in Philippi because Paul wrote a letter to them, but it is actually to the saints in Christ who are in Philippi. He wrote a letter to the churches of Galatia, how many of them is not mentioned. So numbering the churches Paul started is a challenge. While he only started the Ephesian church in Asia, this one in turn started so many others that every person who lived in Asia heard the message of the Gospel. Does that count as only one church? How many churches were started in Cyprus on the first missionary journey? We know it is more than one. How many were left in Crete? There are places we have no mention of a church but we know he was there preaching such as Illyricum (Rom. 15:9). Did Paul start churches while in Damascus? Well someone already did because he was on his way there to arrest them, so probably not. But when he went to Arabia he may have started churches. Some assume he was just on retreat listening to the Lord, but he was chased out by the officials, so we can assume he did some preaching (meditating on a rock is not usually that threatening to people). Did he start churches while he was in Tarsus? Acts does mention churches in Syria (Acts 15:40-41) could it be that some of these started before he was sent from Antioch? Did Paul go to Spain? If so then perhaps he started churches there as well, but we do not know. He did go to Crete and started some churches and left Titus there to further establish the work. He probably started close to 20 churches himself, with many more born out of those by his apprentice leaders. In Asia alone the NT mentions Ephesus, Smyrna, Pergamum, Thyatira, Sardis, Philadelphia, Laodicea, Colossae, and Hieropolis. Ephesus was really a city full of churches meeting in homes and from that work all the others were started. So while starting upwards of 20 churches in one’s life is impressive, what is far more impressive is how many daughters, grand-daughters and great-grand-daughters were birthed from those. When Paul left earth in the end of his life he not only left some church plants, he left the DNA of a movement that would eventually spread to the extent that even the Roman Empire itself would surrender to Christianity (for better or worse). History was changed in dramatic fashion through this one man’s obedience. I am discovering that simple obedience is a powerful thing in one's life. More powerful than spiritual gifts or personalities. Certainly more powerful than any program or strategy. In a day where we Christians are already educated beyond obedience, I find that what we need is not more education but simple obedience to what we already know. Follow Jesus today. Take one step at a time and leave the results and the destination up to the one you are following. Thank you for that great and encouraging post Brother Cole. We don't know the outcome of our lives. Paul didn't. It was his life surrendered to the mission of Christ. I like what Alan Hirsch said in ON THE VERGE: "The church that Jesus designed is more like a starfish...each piece of a starfish has the full potential of a new starfish; twenty pieces lead to twenty starfish!...A church of a thousand disciples has a thousand potential churches contained in itself!" A few years ago, I seem to recall you saying in a seminar that on Paul's first miss journey he stayed a very short time with the churches that he birthed there, and in his second journey he tended to stay for a good bit longer. And you mentioned that the churches where he did not stay long, did not survive the century, while the ones where he invested more time lasted much longer. Is that a position you still hold? And if so, could you point me to some resources which analyse this... or tell me how you went about analyzing it? I'd like to get some evidence and substantiate it or get it out of my mind. Bruce, I am sorry for such a delayed response. The answer is yes, sort of. I didn't say that the churches didn't continue to exist that were started with a short presence by Paul, but that they were less healthy and more prone to faulty leadership (Galatians). Even Paul had to learn Jesus' principle of "Stay om that household (oikos) do not keep moving from house to house." I have written a good book that clearly spells all of this out called Journeys to Significance.